There are challenges on the suitable methods to be adopted for teaching and enhancing creativity of the child in the school. This has led sometimes, to confusion on the best ways to direct and shape the individual’s style of life through education. However, mentoring has become an effective strategy for achieving excellence in creative writing at the Hill-Top Art Centre, Minna, Nigeria. Alfred Adler, a renowned psychologist said in his theory of individual psychology that the ‘creative self’ is responsible, to a large extent, for dictating and shaping the individual’s style of life. He further stated that the creative self is responsible for giving meaning to life through the creation of goals and finding solutions to them. Hill-Top Art Centre has affirmed the potency of mentoring in dictating and shaping creative writing goals and output of mentees in writing stories, poems and other forms of creative expressions. This has given meaning to the lives of the mentees in striving to better themselves and their societies through their creative endeavours. Hill-Top Art Centre offers time and space for young creative minds to engage in cultural interchange and meaningful work that impacts the world for the greater good of humanity through art. This centre focuses on individual artistic expression and exploration. Its core belief is in the value of shared experience of personal, professional and artistic discovery that takes place within a supportive environment of peers and mentors. Additionally, this centre promotes opportunities for cross-cultural dialogue, artistic exchange through a specific shared perspective or goal equally significant to the achievement of a well-rounded child for the good of the community. Similarly, the Hill-Top Art Centre has as primary objective “to train members to develop their creative abilities in the art (Teen Authorship- Poetry, Novel, Play writing, Song, Craft, Painting, Performance, Public Speaking and Language competence, Reading, Photography and socials) so that they aim at becoming professionals from school age. Also, the centre publishes teen authors as well as adults who are mentors at the centre, provide uncommon reading texts for members, develop role models among students for their peers to appreciate and aim at becoming functional members of the society, provide leadership training for members and help them develop spirit of nationalism and patriotism for their country, enhance social relations, provoke debates, discussions, and new thinking by various children of different cultures converging on the art centre in the spirit of humanity to foster unity and co-existence through understanding, cooperation and accommodation, relate with other cultures around the world through art, bring nearer to the members and the immediate community established writers, artists and leaders to listen to them speak in their renown areas of specialisation, workshops, conferences for young writers continuous platform for training and development, organise competitions of local, state and national status and to pursue the goal of making Niger State a centre for literary production in Nigeria. The facilities found at the centre include the main theatre, a library called library literati, an Art Studio (Sakiwa Muse Dome), and a creativity garden called Yard 90. Ken Ike (Nigeria’s Poetry Grand Slam Master), the first known writer to have prophesied over ten years ago, barely a year after its establishment, the brilliant future that the Hill-Top Art Centre represents in the development of Nigerian literature in his piece in THISDAY Newspaper of Sunday, December 18, 2005. He described Halima Aliyu, Maryam Shuaibu Bobi, Blessing Gambo, Augustine Adugbe and Saddiq Dzukogi as ‘Images of Tomorrow’. He had declared that “from the evidence before you, it’s apparent that Hill-Top has a well-developed programme for the promotion of arts in the school”. Edwin Eriata Origbabor upon a visit to Minna in 2013 was caught by the functionality of the art centre and confessed his desire for the creation of a similar platform: “I appreciate what is happening here and would love to replicate it anywhere I am, especially in my home town. To be here today, is like a dream come true”. However, Camilus Ukah of ANA Imo has been the most diligent follower of the Hill-Top Art Centre through a continuous study of her activities and of some pioneer members like Saddiq Dzukogi, Paul Liam, Maryam Bobi and Halima Aliyu. He has presented papers in the US and elsewhere about the centre and the output of her members, and how the centre has engaged creative school children, positively. Camilus would later use the Hill-Top sample to encourage the establishment of creativity centres in two schools in Imo State in 2012. Like the Hill-Top Art Centre, the two Imo schools have produced anthologies of short stories and poetry. Many writers, academics, journalists, society leaders, teachers, politicians, parents, and students have visited the centre since 2005, and have expressed their views about the beauty and potency of the place to produce excellent writers in the future. Odia Ofeimun, Diego Okenyodo, Remi Raji, Samaila Umaisha, Ray Ekpu, Maryam Babangida, Mu’azu Babangida Aliyu, Emman Shehu, Amu Nnadi, Chiedu Ezeanah, Denja Abdullahi, Richard Ali, Abubakar Gimba, Ngozi Chuma Ude, Ilyasu Dhacko, John Sarpong, Yahaya Dangana, Faruk Haruna Rashid, M. K. Yahaya, Danladi Abdulhamid, etc. They all wished they had similar opportunity in the past. This much was represented by the views of an early caller at the centre in August 2005, Ahmed Maiwada who donated N75, 000 then to aid the centre’s activities including the publication of Zainab Manko’s ‘Penalty of an Orphan’. It was the launch of Halima Aliyu’s book ‘One Little Trick, One Painful Death’: “if we had this type of opportunity, only God knows where we would have been in writing” he had said in Leadership Newspaper of August 21, 2005. The school, ordinarily, has two functions categorized into Manifest and Latent. According to Long-Crowell, an instructor with study.com, a manifest function of school is a “function that people believe is the obvious purpose of school and education while a latent function is a function that people are not aware of or doesn’t come to mind straightaway”. Therefore, one can safely conclude that the latent function is about the child’s creative potentials which are inherent talents. While the academic activities in the classroom falls within the manifest function of the school, and follow a structured pattern of delivery and within specified time frame. The latent function enjoys a wide range of latitude requiring exploration, discovery, and sharpening the child’s potential for a worthwhile product. It is creativity-based and forms the essence of this piece. It is the very thing the Hill-Top Art Centre seeks to nurture in her members to stardom through quality creative writing output. Barlett (as cited in Mangal, 2008) said, creativity is an adventurous thinking or getting away from the main track, breaking out of the mould, being open to experience and permitting one thing to lead to the other. While Spearman (as cited in Mangal, 2008) said: creativity is the power of the human mind to create new contents by transforming relations and thereby generating new correlates. One concept about creativity that educational psychologists have agreed upon is that creativity aims at problem solving. Creativity is the ability to discover new solutions to problems or to produce new ideas, inventions or works of art. It is a special form of thinking, a way of viewing the world and interacting with it in a manner different from that of the general population (Levin, as cited in Mangal, 2008). 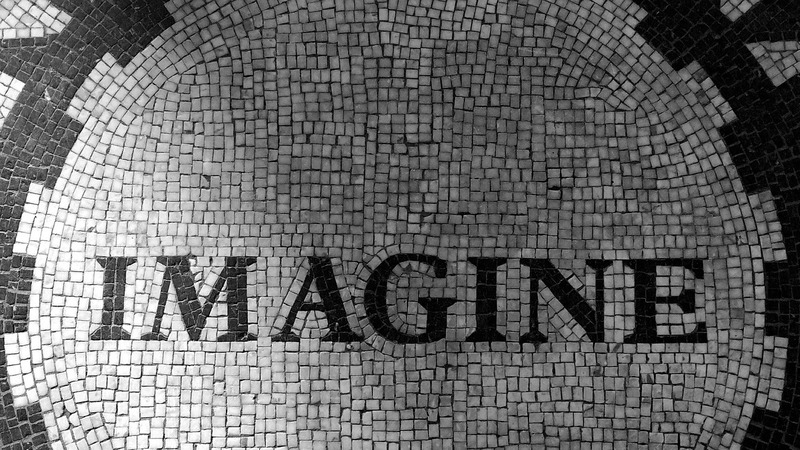 From the foregoing definitions, Mangal (2008) came up with his own definition of creativity being the capacity or ability of an individual to create, discover, or produce a new or novel idea or object, including the rearrangement or reshaping of what is already known to him which proves to be a unique personal experience. Having heard some selected definitions of creativity, one would want to ask: Why should our educational planning bother about the creative potential of the child? Why the Hill-Top Art Centre, in Hill-Top Model School, Minna, Nigeria? The answer to the latter is simply about writing creative pieces by young people! Creative writing is a form of writing in which the individual presents his thought in an imaginative way that appeals to the reader. This involves critical thinking where the writer aims at reshaping something known into something that is different and original. The Duke University Writing Studio defines creative writing as a form of artistic expression, which draws on the imagination to convey meaning through the use of imagery, narrative, and drama. This is in contrast to analytic or pragmatic forms of writing. This genre includes poetry, fiction (novels, short stories), scripts, screenplays, and creative non-fiction. Each piece of writing has a purpose and is targeted at an audience. It is organized cohesively with a clear beginning, middle and an end. Attention is paid to choice of apt vocabulary, figurative use of language and style. At the Hill-Top Art Centre, members believe that this form of writing can recreate the society which is fast deteriorating thereby producing children of criminal tendencies, drug abuse, prostitution, ill-education, political thuggery, banditry, and of general anti-social behaviours. All of these have largely contributed towards deconstructing the Nigerian society for which Niger State is a member. To arrest this dangerous phenomenon, we believe that, once writers are poured into the community, quality thoughts and actions by readers will be a permanent check to the continuous degeneration of the society. And the child becomes the all-valuable instrument for this revolution. And so they are gather at the centre for the realization of this onerous philosophy. To us at the arts centre, one quality writer is enough for the community while a very many of them in the same community accelerates the emergence of a sane society faster than envisioned. The first recorded use of the word ‘mentor’ is in Homer’s epic poem The Odyssey. Ulysses left his trusted friend Mentor to take care of his household and his son Telemachus whilst he was away fighting in the Trojan War. Mentor largely failed in his duties, taking care of neither. It was the goddess Pallas Athene (goddess of war and of wisdom) who helped Telemachus, appearing throughout The Odyssey in a variety of human and animal forms, including that of Mentor. As Mentor she acted as a wise and trusted adviser and counsellor helping Telemachus grow in experience, maturity and courage. However, the word [Mentor] didn’t feature in the English language until a publication in 1750 of the story Les Aventures de Télémaque, by the French writer Fénelon, in which Mentor was the main character. Les Aventures de Télémaque went on to become the most reprinted book of the 18th century, leading to the word ‘mentor’ being resurrected after a gap of nearly three millennia. It is Fénelon’s Mentor, not Homer’s, that forms the basis for modern usage of the word (Roberts 1999).1 The word ‘mentor’ soon came to represent a wise and responsible tutor – an experienced person who advises, guides, teaches, inspires, challenges and corrects, and serves as a role model. Mentoring is now a widely used and effective tool for personal and organisational development. Therefore, a mentor at the art centre is an experienced writer who advises, guides, teaches, inspires, corrects and serves as a role model to the teen authors or writers in creative writing who are members of the Hill-Top Art Centre, Minna. At the Centre, the role of mentorship is generational in nature as the initial set of mentees who started out in 2005 are now mentors there because of their steady rise in creative writing and production of Novels and Poetry books. In all of these, the central phenomenon is to harness creativity (creative writing) in the individual. Examples of members who have written books and became mentors are: Saddiq Dzukogi, Paul Liam, Halima Aliyu, Maryam Bobi, Musa MC Yunusa, Danjuma Terfa, Awal Abdullahi, Muhammad Yerima and others. However, the original mentors are Kamar Hamza, Awwal A. Sakiwa, Ishyaku B. Ibrahim, Alkasim Abdulkadir as well as many visiting mentors from across Nigeria. Strategy in this piece simply means learning strategy which could be describe as the way which content is presented in the instructional environment (Ndirangu, 2006). The strategies employed in mentoring and training at the Hill-Top Art Centre are multi-modular and diverse, spread over a long period of time. They are: face-to-face engagement between mentors and mentees which includes teaching, practical sessions, general interactions and discussions on any subject matter of interest as may be introduced by any discussant; reading tours; attending critical discourse platforms like guest writers fora and conferences or workshops; visit systems to writers’ conventions, homes, work places and; joining online literary discussion platforms. The conventional teaching methods in achieving educational objectives of the three domains of learning (cognitive, affective and psychomotor) as well as content delivery by individual teachers in the regular classrooms may not effectively handle arts like Creative writing. Handling creativity requires extraordinary engagement with the pupil and students. In fact, some students possess various forms of extraordinary abilities as a demonstration of their latent potential for which most schools in Nigeria have no facilities to handle, thereby limiting the extent to which students could attain learning experiences and skill acquisition for a wholesome future acceptable behaviour and artistic expression in the society. Due to the exceptionally overwhelming spontaneity, intuitive, imaginative, fantastic and extraordinary nature of creativity, it flourishes more under an aesthetic environment or of attributes of flexibility and freedom unlike the mechanical and restrictive situations found in our classrooms. Therefore, mentoring becomes more strategic and a potent technique for achieving the goals set, especially if confined to an art centre like the one in Hill-Top Model School, Minna. Mentoring here becomes a form of method for content delivery. It has a limitless range of operation and relies wholly on the application of creative teaching, self-study, practice, exploration, experimentation with the mentor serving as a guide. It is like an on-the-job kind of learning/training and production. Formative evaluation is adopted as an instrument for measurement of progress or otherwise during mentoring. Mentoring is not an end to itself. The fact that mentoring allows for limitless elasticity in the range of interaction between the mentor and the mentee or the establishment of a freer atmosphere that promotes learning which makes it more memorable, the art of mentoring doesn’t actually provide a single trajectory of methodology for the mentor; it is not an island of itself or god unto itself. Mentoring in creative writing deploys other methods of delivery as the situation warrants from a diversity of techniques and approaches in teaching and learning as available to the mentor and as required for different creative writing mentees. Methods like discovery, discussion or demonstrative or lecture are often employed for specific items or modules being treated. Insightful learning method is a prominent feature in mentoring in creative writing. Play-away methods are also used to deliver contents designed by the centre. Therefore, mentoring, to us becomes a strategy, a broad spectrum of activities upon which mentors use any fitting style of skill acquisition or teaching to make the realization of contents effective and for writing skill to get sharpened in the members. This is about knowing the quality of our creative products which could be prose, poetry, play, essay, song, quotations and other related literary forms of expression. These qualities must have translated into book forms whose standings are measurable in any literary environment either through awards or the discussions the books and their authors have generated as relevant subject-matters in the society. So far, writers of the Hill-Top Art Centre have featured in local, national and international literary circles and events. In a paper he presented in Casablanca, Morocco, the Executive Secretary of the National Institute for Cultural Orientation (NICO), Abuja, had cause to note a member of the art centre alongside his masters: “There is no arguing the fact that Nigeria has produced many accomplished poets, beginning from Christopher Okigbo, Gabriel Okara, John Pepper Clark-Bekederemo, Wole Soyinka, Dennis Osadebay, Mamman Jiya Vatsa, Ken Saro-Wiwa, Tanure Ojaide, Niyi Osundare, Okinba Launko (Femi Osofisan), Nduka Otiono, Harry Garuba, Nnimmo Bassey, Ezenwa Ohaeto, Ebinyo Ogbowei, Akachi-Adimora-Ezeigbo, and Onookome Okome. Other versatile poets include, Joe Ushie, Ogaga Ifowodo, Olu Oguibe, Sam Omatseye, Remi Raji, Philip Begho, Uche Nduka, Saddiq Dzukogi, and Arnold Udoka, to mention just a few ( Ayakoroma, 2014)”. Saddiq Dzukogi, whose dedication to poetry appears irredeemable is a twenty six year old with three collections of poetry. Canvas is second, and was the 2nd runners up in the ANA Poetry prize for 2012 while his third collection Sunbeams and Shadows was also on the shortlist of the same prize in 2013. By 2015, he was on nomination list for the Pushcart Prize for 2016. The young man’s poems have been published in not less than thirty international journals of arts as well as many anthologies in Nigeria. Halima Aliyu has two books, one which has earned her a shortlist on ANA/Abubakar Gimba Prize for short stories 2015. Recently too, she was announced alongside Abubakar Adams Ibrahim, Elnathan John, Maryam Bobi (another member of the Art Centre) as winners of N200, 000 grant each from Marine Platform to aid their writings from Northern Nigeria. 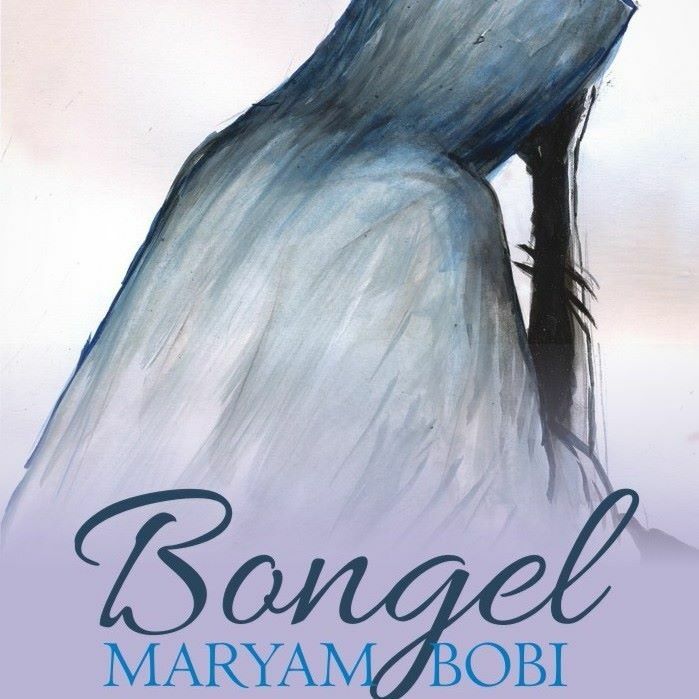 Maryam Bobi, the author of Bongel, is the winner of the 2015 ANA Prize for prose along with Udenwe. Paul Liam is fast establishing himself as a new fearless critic and a strong essayist on the Nigerian literary map being redrawn by young writers across the country. He is from the Hill-Top Art Centre too; our product. No doubt, where critical discussions are being made on the social media especially facebook, you will find Hauwa Shafi’i, Zainab Manko, Mercy Adams, Deborah Oluniran, Fodio Ahmed, Awal Abdullahi, Musa MC Yunusa and a whole lot of members of the art centre making meaningful contributions. Therefore, this trend of incursion into the Nigerian and international scene by our members is a pointer as to what progress is being made by the Hill-Top Art Centre. A piece of work in creative writing bears the characteristics of any other creative product which are novelty of the idea, originality, evocation of shock and element of surprise, and it must be new and fresh as well as being meaningful and useful to the society. The major characteristics of the effectiveness of creative writing must include form, content, structure, style and the appeal it gives to the audience. In creative writing, the criteria for measuring quality of a product may not be the same from place-to-place, product-to-product but certain universal standards exist in terms of what a good creative writing piece is and what defines a book as literary. Some of these include language which must possess the essential literariness. Others are; craft, characterization, suspense, conflict or drama and setting for prose while poetry requires figurative speeches, musicality, rhythm, rhyme and stanzas to pass for an excellent product. All creative writing pieces must have sequential arrangement of thought; there must be logic, and when logic is turned upside down, a meaningful and convincing explanation must be given. The method of selecting members is largely informal but organised. 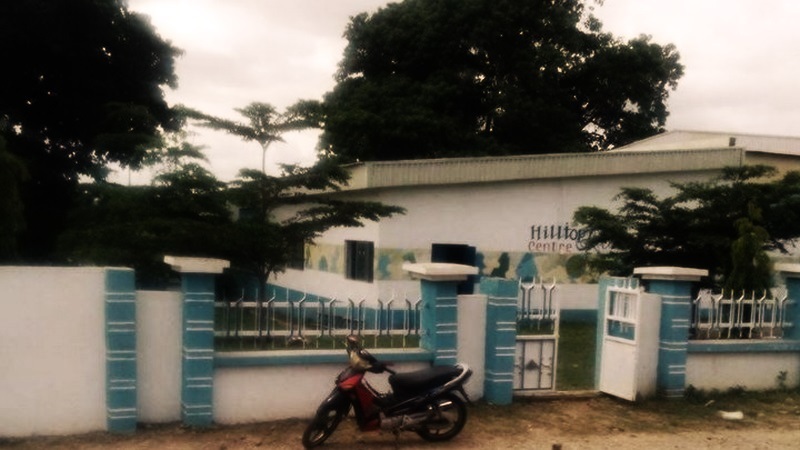 In the beginning (2004 to 2006), the founder was going to the classes in Hill-Top Model School, Minna to identify and pick students who have already established a reputation for literary and debating activities and enlisted them as members, it was a carry-over of what was the practice with the likes of Alkasim Abdulkadir, Balkisu AbdulAziz Abarah, Femi Quartey, Philips Usigbe, Aisha Ibrahim Kuta, Anna Makama, Aisha Abdulkadir, Amina Tanko, Yvonne Odiachi, Hiba Suleiman, Deborah Ndubuisi and a lot others, way back from 1994 which later gave birth to Echoes of Young Minds an Anthology of teen authors of Hill-Top Model School, Minna, 1997. Shortly after 2006, volunteer-members started emerging either through letters or face-to-face open request to join the centre. Paul Liam a student of Jibrin Bala Jibrin from Government Day Secondary School, Minna, wrote in 2006 requesting me to be his mentor. He ended up at the art centre. Also, Fodio Ahmed called to join the art centre and ended up with Paul being his mentor. Bobi (2015) stated in an interview with Praxis online magazine that: “I love reading a lot from my early years. I borrowed a lot of story books from friends and from the school library. I became Assistant Library Prefect in Primary 5. Then I met BM Dzukogi during my early years in Hill-Top Model School. I have read his books and I admire him a lot. I spent most of my free time with him, listening to his inspiring words and on one of such days; I walked up to him and said these words: “I want to be a writer like you.” He smiled and said, ‘you can be.’ I ran off, got an exercise book and started scribbling the story of Bongel”. Indeed, Maryam Shuaib Bobi, 26, a graduate of Mathematics/Computer from Federal University of Technology, Minna is now the author of a novel Bongel. Another method of enlisting mentees is through the Annual Schools Carnival of Arts and Festival of Songs (ASCAFS) organised by the Association of Nigerian Authors (ANA), Niger State Chapter. This literary carnival which was first designed by the author of this piece in 1995 is in its 21st edition this year. Under ASCAFS which later grew to comprise nine categories of On-the-spot writing, quiz, painting, songs, craft, cultural display, folk song, drama, photography, Hill-Top Art Centre form for registration is usually distributed to prize-winners free to attract them there. So in time, the art centre has become a state centre where students from any school can come as a mentee with the purpose of becoming a writer, painter etc. A typical example of using ASCAFS as discovery ground is Deborah Oluniran, an eighteen years old girl who is the author of ‘Ewa’ from Niger Baptist College, Minna. Similarly, parents who are aware of the existence of the centre bring their children on Saturdays to enroll as members. Teachers do the same too. Halima Aliyu was asked to join the art centre by her English teacher, Mr. Daniel Manta for her love for literature and books. Halima’s teen book (one little trick, one painful death) was published by the art centre when she was in SS II while her collection of short stories; Fire on the Tip of Ice came out in 2015. She is a graduate of Law from Ahmadu Bello University, Zaria. Kamar Hamza, as Principal of FOMWAN College Minna, brought Hauwa Shafi’i to the centre. However, the trend we have noticed since the past three years is that, existing members are the ones recommending the centre to their peers who have creative talents or are merely looking for a place to socialize, they eventually become mentees. The stream of progression in the activities of teen writers at the art centre is tailored, wholly, towards a creative product (poetry collection, novel, short story collection, quotations, play etc) which must come in book form. To achieve this, mentees spend a minimum of one year going through series of activities and experiences like the Saturday training session, which is a session with the mentor ( a mentor takes a maximum of five mentees until each has realized a mini-book of not less than fifty pages depending on the age or level of education and genre). Ikhide agrees with Pius Adesanmi that: “There is some good news. Nigerian writing is growing as writers are beginning to develop confidence in their own stuff. You should read the defiant and beautiful writing in Igoni A. Barrett’s new book, Blackass. There is more where all that loveliness came from – on the Internet. I am thinking of young men and women like Elnathan John, Saddiq Dzukogi, Lesley Arimah, Chikodili Emelumadu, Richard Ali, Olisamaka Olisakwe, Pearl Osibu, Hymar David, Onyeka Nwelue, Jumoke Verissimo, Dami Ajayi, Eghosa Imasuen, Kola Tubosun, Gimba Kakanda, Tolu Ogunlesi, Michael Ogah, Sybbil White, Emmanuel Oluwaseun Dairo, TJ Benson, Miracle Adebayo and Soogun Omoniyi who on a typical day make their social media walls living chapters of perpetual online books”.‎ Saddiq and Paul being mentioned by renown critics of literature in Nigeria are only symbols of the many brilliant graduates of the art centre. Today, the centre is fast producing women-writers in Nigeria more than any literary group in the country; talking about real literary development from grassroots. The excellent creative writing output of the mentees is aided and acquired over a long period of training and association with established writers across the country and around Africa. The Hill-Top Art Centre, consciously, seeks to indoctrinate and solidify into concrete philosophy of art as a noble activity and a larger than life phenomenon by exposing the mentees (face-to-face) with iconic and established writers from the local environment, to the national arena and the world at large. This is achieved through attending local, national and international conferences on creative writing and critical discourses on national and human questions. Examples of such critical discourse platforms are: Annual International Convention of the Association of Nigerian Authors, Soyinka Colloquium (Ife 2006), Achebe Colloquium (Nsukka 2008), MBA International Literary Colloquium (Minna) and Writivism Festival (Kampala 2015). At these fora, mentees’ spiritual confidence in creativity gets emboldened for greater output resulting from the free association with father/mother writers most of whom they had read about before the encounter. They take pictures, exchange books, light discussions and intensive listening to the plenary, all as progressive steps towards excellence and horning of talent in writing. However, the most focused aspect of this sub-module is the technical sessions which the mentees must attend to further pick the artistry of writing from the numerous themes and sub-themes being discussed. This sharpens their technical competence and cognitive alertness to both the art and the artist. Meeting writers like Ahmed Maiwada, Diego Okenyodo, Alkasim Abdulkadir, Olu Obafemi, Akeem Lasisi, Deborah Klien, Chiedu Ezeanah, Mokuma Ngugi, Ukamaka Olisakwe, Ismaila Garba, Uche Umez, Camilus Ukah, Wale Okediran, Remi Raji, Odia Ofeimun, Pius Adesanmi, Unoma Azuah, Charles Nnolim, Soyinka, Emenyounu, Kofi Ayindoho, Atukei Okai, Pa Ikhide and hundreds of others by our mentees over the years have helped them pick one quality trait or another. That’s why you see them swarm along with us wherever we go. There is no group like us. Another module of activity is the guest writer sessions tagged Hill-Top Art Teen Authors Flash and the Writer’s Spell of the Association of Nigerian Authors, Niger State. These activities are test grounds for the mentees where they come face-to-face with an interviewer with a large audience to read a completed work of theirs and answer questions from the interviewer and the audience. The guests are largely writers of all species, parents and relations of the mentee or teen or young writers and the public. It is usually intellectual based. The visit system mentorship is a voluntary activity used as fillers within the week days before the Saturday training. Mentees have, over the years, develop a culture of visiting the established writers within the community at offices, houses or elsewhere whether as impromptu or arranged to further mentoring sessions on a work in progress or general art discussions. Similarly, the mentees exchange visits among themselves as a means of enhancing their art and competence. A primary feature of these visits is exchange of reading texts like books, journals, newspapers with art columns and pull-outs including films and documentaries. All of these have added quality and frequency of creative writing output of the mentees as well as the mentors in many instances. From the above, at the Hill-Top Art Centre, a structured pattern of progression in the development of the art in the mentees must be noticeable. This usually comes in a chain of results in output: writing a piece of work, bit-by-bit, daily, until a mentee can boast of a completed manuscript in any of the genre of literature. At the beginning, the volume was usually between 20 to 30 pages. Today, they write full size books thereby making them full size authors, like you. Thereafter, the centre publishes it for the child as a student. This is usually the first stage of indoctrination or induction. The impact of publishing members at school age has one huge value in the life of a mentee: It is usually a profound and momentous occasion for a student of secondary school or university age to be called an author; the feeling is usually of a larger than life image among their peers. Suddenly, they become role models within the school for staff and students. After that experience, as mentors, our task becomes less as the fire of writing burns in the mentees far and near. As they set-forth in the land, the mentors return to focus on the new set of mentees behind. Apart from the teen books we publish, they have the Minna Literary Series (MLS) which currently boast of six titles. Three titles would be released by February 2016. The MLS is a replica of the Nigerian Writers Series I introduced to the national body of the Association of Nigerian Authors in 2012 during the Remi Raji era. In the Hill-Top Art Centre experiment, there have emerged groups as discreet segments among themselves being pumped into the Nigerian literary scene. Leave out the pre-art centre group of Alkasim found in ‘Echoes of Young Minds’ and take a look at the ones after them from Saddiq Dzukogi’s ‘Image of Life’ in 2004, you will find along with him writers like Maryam Bobi, Halima Aliyu, Awwal Abdullahi, Suraj King, Augustine Adugbe, Zainab Manko, Khadijat Abdullahi, Paul Liam, Musa MC Yunusa, Yunusa Hamza as group mates. Most of those in this group are highly active. A good number of them now have their voices in Nigerian literary space. The group after them has Deborah Oluniran, Hauwa Shafi’i, Fodio Ahmad, Mercy Adams, Maryam Manko, Khadija Abdulkadir, Nana Aisha Abdulkadir, Richard Jacob, Mustapha Gimba, Anas, Daniel Ibikitan, Esther Ibikitan to mention a few. The new group in the offing comprises of Peter Kwange, Victor Ugwu, Amina Umar, Prescilia, Khadija, Fidelis Obaseki, Miracle Attah, Gloria Zhiri, Omawunmi Ibikitan, Sagir, Bashir, Joy, Zakiyyah Dzukogi and many others. We have about three generations of the Hill-Top arts centre operating in Nigeria today, many more groups will emerge with time. Our idea is to have a functional regenerative art through the child. Schools should set up creative writing centres to cater for the creative needs of individuals in order to direct and shape the lifestyle of students from early life towards creativity. The Hill-Top Arts Centre was able to transport this idea to Logos International School and CRM International College in Owerri in September 2012 through Camilus Ukah. We also took the idea of teen authorship to the national body of the Association of Nigerian Authors in 2011 when this author became the General Secretary of the Association which led to the production of an anthology ‘Beyond Limits’ featuring teen authors from five state chapters of Abia, Taraba, Katsina, Kogi and Osun. Niger state, like the Nigerian Writers Series provided the fund. This should be continued by the Denja Abdullahi led new Exco. Teachers should be equipped with requisite knowledge for mentoring students and directing their creative energy towards meaningful and tangible products. The Association of Nigerian Authors at state chapters should use the Hill-Top example and start a process of discovering and mentoring writers from secondary school age as feeders to ANA. The world is no longer about age, students are now writers in Niger state, and are even better writers than many traditional members of ANA across the country. Hill-Top Arts Centre has deconstructed the myth carried by adult writers as boys and girls continuously prove that creativity is truly not an exclusive preserve of some select few. We also invite established women writers and women-writer organisations to take interest in the Hill-Top Art Centre as majority of the products are girls: Halima Aliyu, Maryam Bobi, Zainab Manko, Deborah Oluniran, Maryam Manko, Hauwa Shafi’i, Mercy Adams, Khadija Abdulkadir, Khadija Abdullahi, Nana Aisha are new young women writers in Nigeria who are our products. Organisations and individuals in Nigeria and around the world can do a lot by facilitating the development of the art centre and the young writers there through interventions and publishing outlets for the numerous scripts being written by them. We have the Minna Literary Series (MLS) which was set up for the young writers in Niger State but the scale at which the centre is being invaded by students seeking to develop their literary art skills is stretching the volunteer-mentors’ resources. Meanwhile, we take respite in the words of the Director of the Art Centre; the Painter, Awwal A. Sakiwa, with his regular refrain which forms the core of our operations and volunteerism: the primary philosophy establishing the place – “We and the Future” of Nigerian literature recognizing that all futures walk through the child. Mangal, S. K. (2008). Advanced educational psychology, second edition. New Delhi: Prentice-Hall of India private limited. Turner, M. M. (2004). Mentoring and coaching: An overview (coach the coach, issue 5). B.M. Dzukogi is the pioneer Director-General, Niger State Book Development Agency, and former General-Secretary, Association of Nigerian Authors. He founded the Hill-Top Art Centre, Minna in 2004. He has to his credit ten publications in poetry, short story, essay, interview, children’s story and aphorism. He is an art administrator responsible for the creation of many art programmes and platforms which include the Annual Schools Carnival of Arts and Festival of Songs, Nigerian Writers Series, Minna Literary Series, MBA International Literary Colloquium, National Teen Authorship Scheme, Bookhawker and many other literary initiatives in Niger State and Nigeria.